This tailor-made full body massage is ideal for stress relief, improving blood circulation, easing tension in the muscles and general well-being. 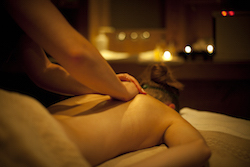 For a deeper massage we recommend our Deep Tissue Full Body Massage. 50 minute treatment.